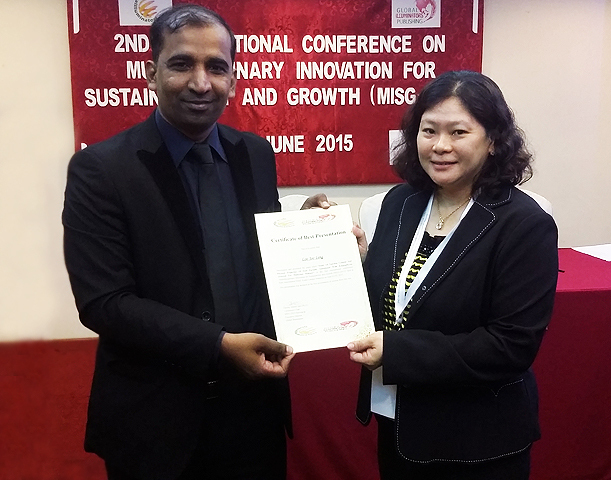 Dr. Loo Joo Ling, Department of Mechatronics & Biomedical Engineering wins “Best Presentation” for her paper titled "Study of Nutrient Content and Physical Properties of Feed Partially Substituted with Kappaphycus Alvarezii for Malaysian Mahseer" during the 2nd International Conference on Multidisciplinary Innovation for Sustainability and Growth (MISG 2015), held at Pearl International Hotel, Kuala Lumpur, on 2 to 3 June. “My research intends to develop a sustainable and cost-effective feed for local aquaculture industry, in particular kelah farming. Compared to the traditional prepared slurry feed, palletised feed can be customized to local aquaculture practice and fish species”, said Dr Loo. “I am extremely honoured to be receiving such an award and earnestly grateful for the recognition I have received for my work. Winning this award would not have been possible without the support I have received from my research team and UTAR. Also, I am grateful for the research grant support from UTAR and MOE”, she said with a smile. 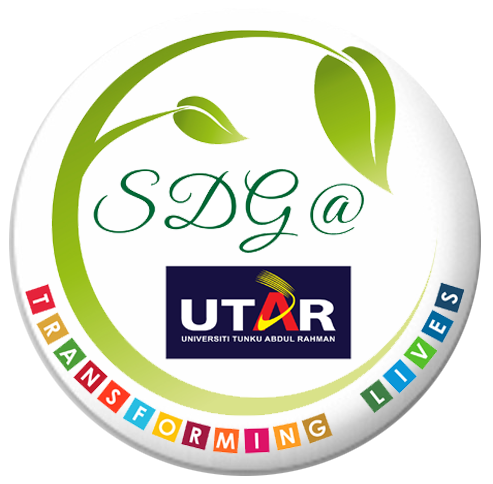 MISG 2015 is organized by Global Illuminators and participants from Malaysia, United States, Japan, China, Taiwan, Korea, and etc.